Why are playing with media and mapping media important? 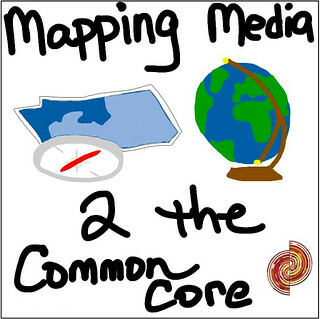 What is mapping media to the curriculum or Common Core? Why are words important and how can students practice digital citizenship? Why are digital portfolios important and how can students build them? What excites you about learning today? How can educators use the Mapping Media framework? I decided to use this video as my opening “trailer” on my YouTube channel. I recorded these as promotional videos for an upcoming conference in October. I’ve been wanting to record a “whiteboard animation” video (RSA style, like Tony Vincent did recently for the 2013 Mobile Learning Conference) using VideoScribe HD for iPad, but I haven’t made time for that yet. I will soon, however! Additional apps and software programs for creating whiteboard animation videos are included on the “visual notetaking” page of Mapping Media. 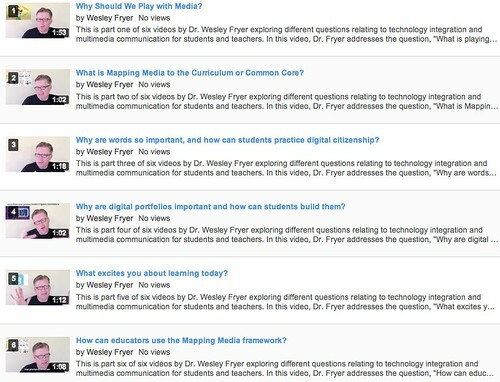 Are there other questions you think I should address via this approximately 60 second video format, relating to playing with media, mapping media to the curriculum, or technology integration in general? I recorded these video clips on my iPhone5 with the built-in microphone, and edited the video in iMovie ’11 on a MacBook Air laptop. Thanks to a tweet yesterday from Joyce Valenza, I found this video of Sue Thomas‘ lecture on Transliteracy at Empire State College on March 15th. Check it out. If you want to read, study and discuss “The Scarlet Letter” today, the good news is it’s available free via Project Gutenburg. That means as a teacher you can import it in ePUB format directly into the free SubText app on the iPad, and have “discussions in the book” with your students which include hyperlinks, images and embedded videos. Then your students can engage in “interactive writing” on your class blog (which serves as their “digital portfolio,”) can create “narrated art” about the concepts and ideas of the book, and can even construct their own eBooks with digital text, images, audio and video. THAT could potentially be a great transliteracy study. SubText is the eReading app we’re using in my Spring “Mapping Media to the Common Core Vol I” course in Montana. Would your school climate benefit from the creation of more disruptive edges? Would that promote a change in climate where the conditions for innovation became more favorable? What if educators were intentional and strategic about creating edges? How would this contribute to a climate, and ultimately, a culture of innovation? And, how would the practices found on the edge ultimately inform the core? Share this idea with another teacher you know this week: Transliteracy is the New Language Arts.